25.4: Scoring average for New Orleans center/forward Julius Randle in the five games this season that Anthony Davis has not played. Davis (left index finger) is expected to miss the next 1-2 weeks of action, starting with this afternoon’s matchup in Tennessee. After a 12-point outing by Randle in Davis’ first DNP Oct. 27 vs. Utah, he’s tallied 24, 29, 29 and 33 points in the subsequent four instances. 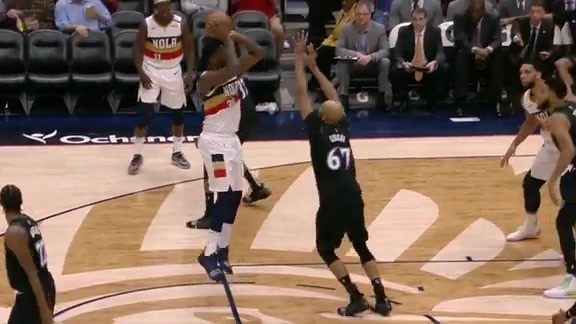 The fifth-year NBA veteran has been at his best offensively when needed by the Pelicans to fill a larger role, with three of his four top scoring games occurring with Davis sidelined. Randle produced a 37-point game Dec. 3 vs. the Clippers, but his only other top-five scoring performance in 2018-19 took place Dec. 9 at Detroit, when he posted 28 points alongside Davis. New Orleans lost its first four games without Davis, prior to beating Minnesota on New Year’s Eve. 4, 8: Out of 46 New Orleans games played this season, ranking in slowest pace of the two previous matchups vs. Memphis. On Dec. 7, the Grizzlies played very close to their preferred pace and pulled out a 107-103 victory in the Smoothie King Center, one of only four instances this season that the Pelicans have allowed 107 points or less and still lost. Exactly one month later on Jan. 7, New Orleans played its eighth-slowest game of the campaign, but registered a convincing 114-95 triumph over Memphis, also in Louisiana. 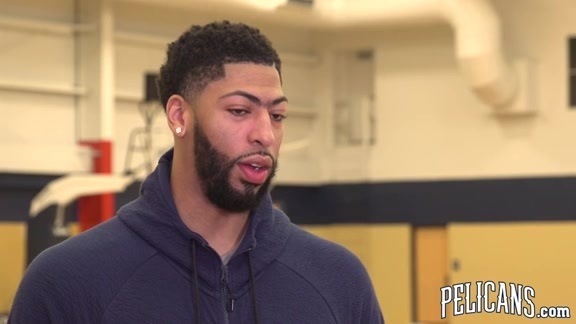 Over the course of ’18-19, the Pelicans are just 6-12 in their 18 slowest-paced games, but 15-13 in other games. 3, 28: Ranking for New Orleans in offensive efficiency out of the 30 NBA teams, along with Memphis’ placement in the same statistic. In an increasing rarity within a high-scoring league, the Grizzlies have often struggled to reach the 100-point mark, scoring in double digits 24 times this season, while the Pelicans have only been limited to 99 points or fewer twice. Beyond the fact that the Pelicans and Grizzlies are most comfortable in dramatically different tempos, New Orleans is 0-9 when scoring 106 points or less, while Memphis has won nine times under the same circumstances. In fact, the Grizzlies have separate victories by final counts of 92-84 and 89-87; the Pelicans have scored at least 95 points in every game of the season.